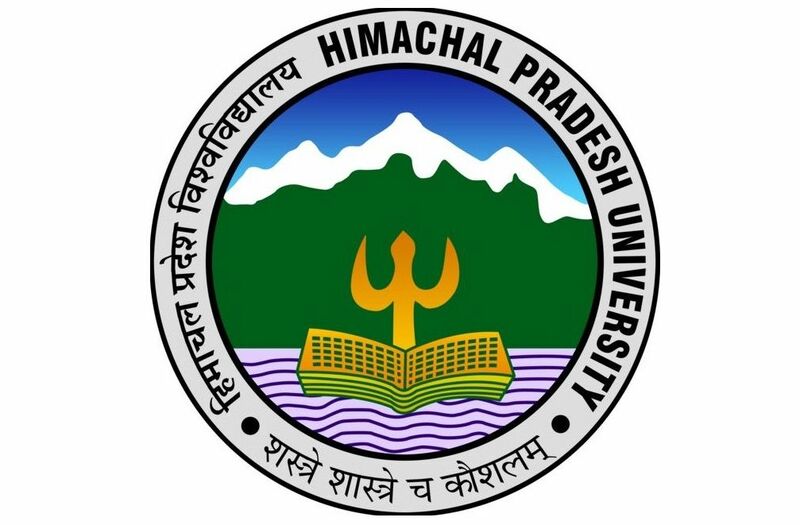 Shimla: Himachal Pradesh University (HPU) has decided to establish a Center for Disabilities and Rehabilitation Studies. This was announced today by Prof. ADN Bajpai, Vice-Chancellor in a programme organized by Umang Foundation, a public welfare trust working for the cause of the disabled, to celebrate ‘International White Cane Day’ on Thursday in the HPU campus. Prof. ADN Bajpai honoured Umesh Lubana, a blind student of M.A. (Pol. Sc.) who recently qualified Junior Research Fellowship Test conducted by UGC and distributed Smart Canes, a device with sensor that helps the blind persons in their mobility, to some blind students. Prof. ADN Bajpai appreciated the efforts of Umang Foundation. He said that it was his pleasure to be the part of White Cane Day programme, a first on the campus, and now it will be celebrated every year by the University itself. 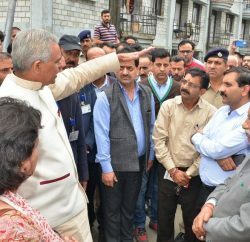 Prof. Bajpai said the University was committed to provide all necessary facilities to the blind students that can help in their educational empowerment. He was of the opinion that all the teachers and students should support the disabled students in every possible manner. Chairman of Umang Foundation and an Associate Professor Ajai Srivastava, while welcoming the guests, said the White Cane Day is celebrated to focus on the rights of blind people and create awareness among the masses. He said sole objective of their efforts was to ensure the constitutional rights and justice to the persons with disabilities. He appealed the university authorities to come forward to eradicate discrimination with the disabled students. Prof. Laxman Thakur, Dean of Studies also emphasized on the need to provide infrastructure and encouragement to the blind students. 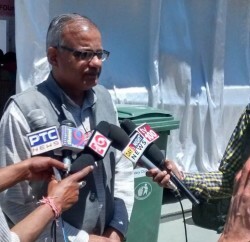 Dr. Chandra Mohan Parshira from MTA department Umesh Lubana also expressed his views in the programme.